No matter a person’s gender, alcoholism is defined by certain chronic, harmful changes in the function of the brain. However, for several reasons, a woman can develop the symptoms of this condition when consuming much less alcohol than a man. Also, any woman who drinks heavily on a regular basis exposes herself to physical problems that are less common in men or occur only in women. For these reasons, alcoholism in women poses a unique, gender-specific threat to health and well-being. If you or your loved one have a gender-specific risk for alcoholism, enrollment in an effective treatment program can provide critical help. For more information on how to find needed inpatient or outpatient services, call (888)-459-5511 today. Women in the U.S. don’t drink alcohol as often as men. Recent figures from the National Institute on Alcohol Abuse and Alcoholism (NIAAA) indicate that roughly half of all adult females (51 percent) drink in any given month. In contrast, NIAA figures place monthly consumption among men at just over 63 percent of the population. Women also have a lower rate of participation in two dangerous patterns of alcohol intake: heavy drinking and binge drinking. 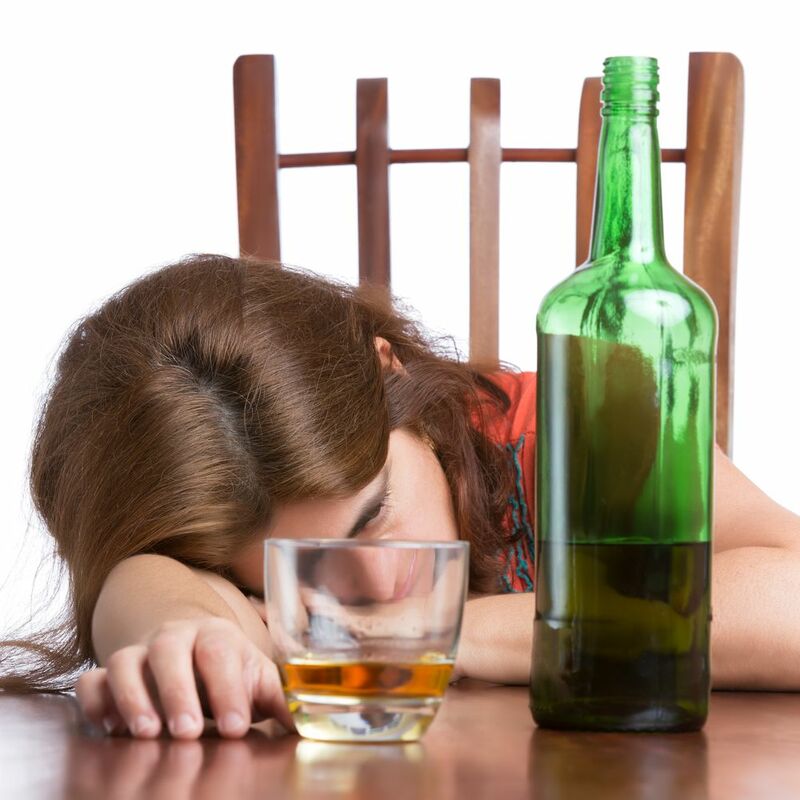 Heavy drinking occurs whenever a person’s daily or weekly alcohol consumption exceeds established guidelines for moderate, relatively safe intake. Binge drinking occurs whenever a person consumes enough alcohol within a two-hour window to reach a state of legal drunkenness. In the U.S., heavy-drinking male adults outnumber heavy-drinking female adults by approximately two to one (9.8 percent of the population vs. 4.5 percent). While about one-third of all adult males binge drink, just 22 percent of adult females engage in this practice. Finally, women have smaller chances of receiving a diagnosis for alcohol use disorder, or AUD (a condition that includes both alcoholism and non-addicted alcohol abuse). The AUD rate for men hovers around 8.4 percent. In contrast, only about 4.2 percent of women are diagnosed with this condition. Water content plays an important role because alcohol tends to accumulate in body fluids. A lower pound-for-pound water level translates into faster intoxication and faster manifestation of alcohol’s widespread toxic effects on normal body function. To stay within accepted limits for moderate drinking, a woman must consume no more than three standard servings of alcohol per day. In addition, she must consume no more than seven standard servings of alcohol per week. Anyone who consistently exceeds these limits has increased chances of receiving an alcohol use disorder diagnosis. Over time, the brain will come to accept the heightened or lowered output of these substances. Once this acceptance has taken hold as the daily norm and expectation, the affected person has clinical alcoholism, or alcohol dependence. Any alcoholic woman can develop two serious health problems also found in alcoholic men: heart disease and liver damage. However, compared to a man, a woman has higher odds of developing an alcohol-related heart malfunction. She also has higher odds of developing the damaging, potentially fatal form of liver inflammation known as alcoholic hepatitis. Even when not drinking enough to boost alcoholism risks, a woman who consumes alcohol can elevate her risks for breast cancer. In addition, regardless of an alcoholism diagnosis, any woman who drinks heavily during pregnancy puts her developing child at-risk for fetal alcohol syndrome and other fetal alcohol spectrum disorders. In addition, a significant number of women may not be aware of the treatment resources available to them. No one knows for sure if this problem affects women more often than men. When assessing alcoholism risks for women, it’s crucial to note that a level of drinking considered safe for men can put a woman in the danger zone. Women may have specific underlying reasons for developing alcohol-related problems. And once those problems appear, they can lead to damaging health changes more quickly than they would in men. While effective treatment is available, a woman may find it difficult to seek help or follow up with appropriate aftercare. Enrollment in alcohol treatment can make all the difference in a woman’s short- and long-term health. For more information on suitable programs for your or your loved one, call (888)-459-5511 today.